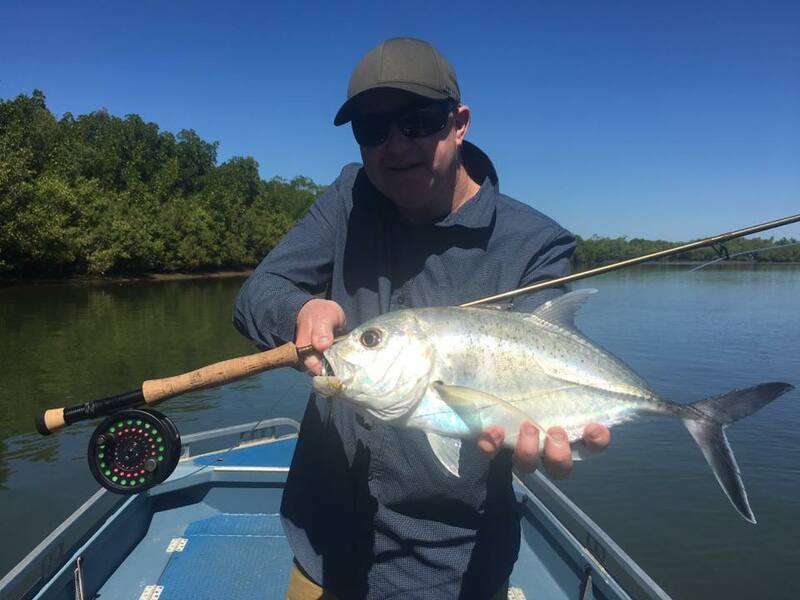 Up in the fresh water, targets usually include Barramundi – juvenile Barra amongst the weeds, monster Barra during the post wet season run off, and medium Barra during the remaining part of the year. 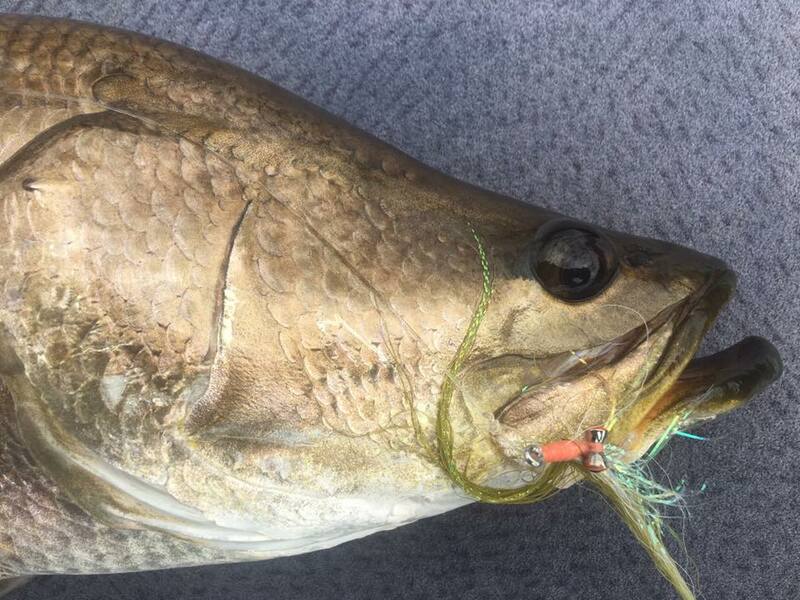 To see, and hear, a good Barra BOOF a surface popper fly is one of the most exhilarating takes in the sport. 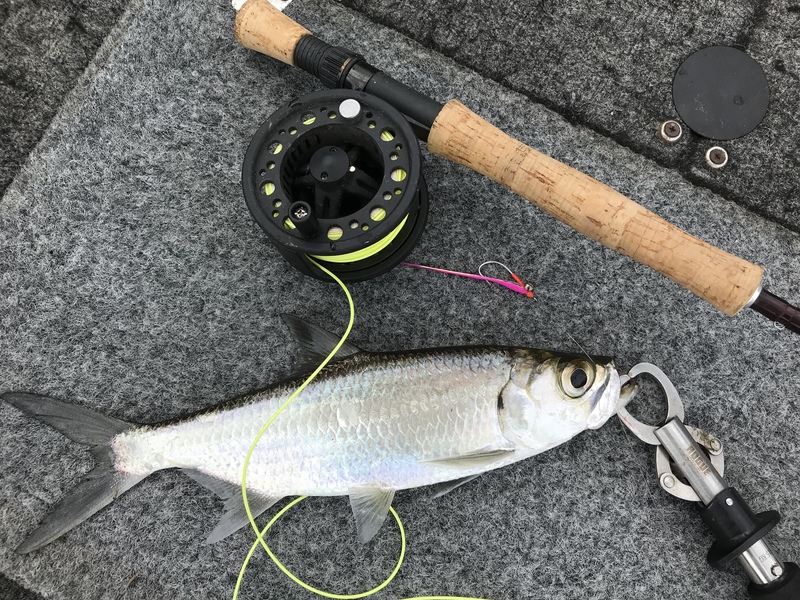 The Barra materializes for a split second, the surface erupts in a boil of foam and the next thing the angler senses is the burning sensation as the fly line whips through the fingers. We also have the plucky Sooty Grunter (black beam) that will take a surface fly or shallow sinking streamer with surprising enthusiasm and fight doggedly to the boat. Jungle Perch with their superb eyesight inhabit the clear mountain streams and other little known oddities including fresh water Grunter and even small Tarpon. Don’t forget the monster Barra in Lake Tinaroo either!